I can’t believe Henry has been in our lives for over a month. It might sound like a cliche but boy has it flown by! And another cliche, I can’t imagine life without him! Henry is a gorgeous and lovely little boy. He’s literally the cuddliest boy especially chest to chest,or resting his head on our shoulder. He’s also the noisiest newborn making lots of grumbling and groaning noises in his sleep which are hilarious. His sleeping positions are laughable as he sleeps just like his Dadda and Grampy. And he is literally the biggest fidget ever! It really explains why I was getting beaten up so much, he even wriggles in his sleep. We had a couple of rough days just before three weeks where he became really clingy, refused sleep and cried for no reason. Thanks to a little help from some Twitter mums and our health visitor we reckon he had a bit of a growth spurt/development leap. He’s started focusing on things and watching things. His neck muscles are also improving rapidly as he loves chest to chest so much. We’ve had lots of visitors, including all our family which has been so nice. Everyone loves how teeny he is. 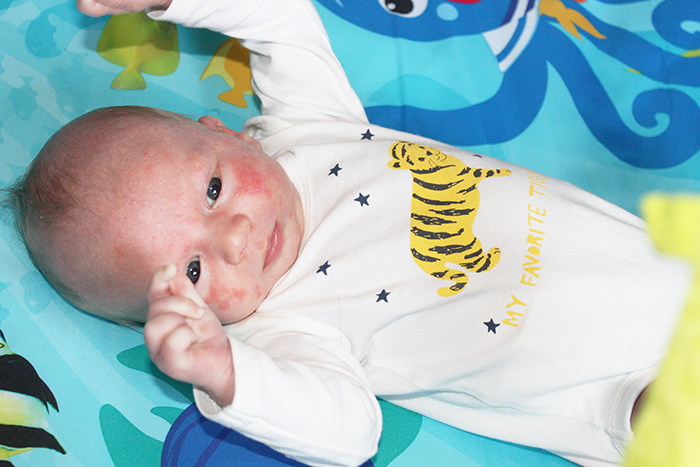 In fact his 0-1 month clothes are still too big for him. Dann went back to work at the start of our fourth week after three weeks off work with us. I was so very nervous about being on my own especially after a few days of him being a bit difficult. Luckily he was pretty good all week, just cuddly. 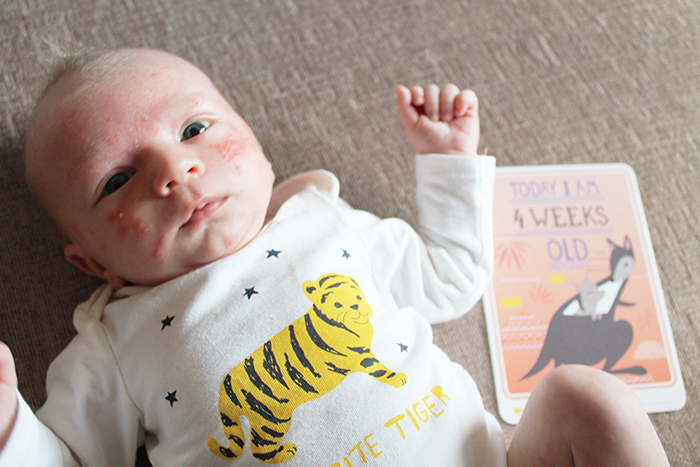 We also had some big decisions to make about breastfeeding which I will go into in a blog post later, but basically after three weeks of exclusive breastfeeding I’ve decided to start weaning to formula. It was a hard decision to make, but one that has ultimately made me happier and less stressed. We’ve also been gradually venturing out and about in the pushchair getting further and further afield. Henry seems to love being out in the pushchair and also being in the baby carrier strapped to our fronts. 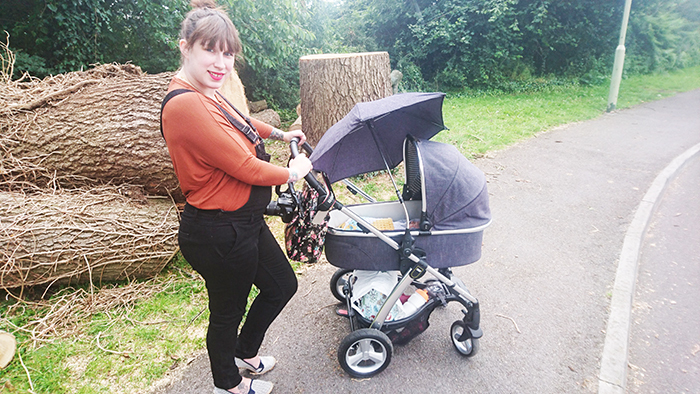 We’ve been taking a few evening walks, trying to make the most of our limited British sunshine, Of course we have been caught in a couple of showers (and one huge thunderstorm) but we’re really enjoying exploring our local neighbourhood! And anything for a peaceful child right? 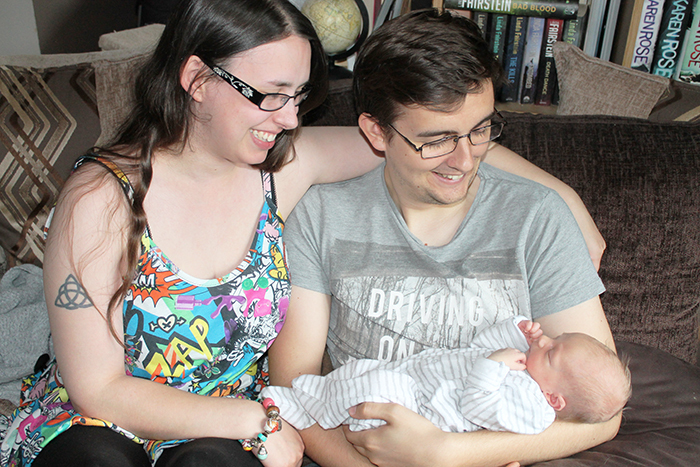 We ended Henry’s first month with a trip to Southampton to celebrate Jess’s graduation. My first trip into the city with Henry, with a pit stop at Mettricks of course! It’s been a good first month! Skip to 2018 and we’re on baby boy no.2, Dexter! Instead of writing brand new posts I thought I’d I add to these existing ones so I can see their similarities and differences instantly. Dexter is another tiny cuddly baby who wants to be held and rocked 90% of the day. I’ve been doing a lot of baby wearing so I can at least do stuff during the day as having a toddler as well means I can’t just sit on the sofa. Although he’s a pretty clingy daytime sleeper, and a bit hot and miss in the pushchair (sometimes he sleeps the whole time, others not so much) he seems to be a pretty good night sleeper in general. We’ve taken to swaddling which I think helps keep him down for longer and use our Sleepyhead which is one of my absolute must-have patenting items. He’s also great in a car seat so I’ve taken to popping him in there and rocking it with my foot so I can type on my laptop! Hence this blog post coming to life! We’ve been exclusively breastfeeding for nearly six weeks now (updated on 06.08.2018) and it’s going well. Yes I’ll admit there are days when I want to pack it all in when he’s been feeding non-stop but all in all I think we’re doing well and we’re happy. Unfortunately Dexter is the windiest baby ever which makes him wake which is incredibly frustrating especially as during the day he can take ages to settle. But it feels so much more natural this time. I can’t imagine not breastfeeding at this point, however I know it won’t be forever as I’m just not comfortable with breastfeeding a toddler (personally, no problem with others doing it if it works for them). As for getting out, it’s been a different story. 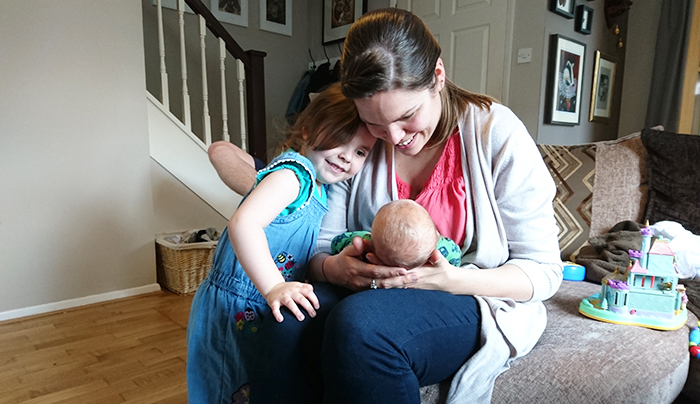 I’ve written about my first month with two kids here, and there you’ll see we got out pretty damn quickly after our home birth, and kept that momentum going. It takes about 600x longer to leave the house than it ever has before, but it is 10000x worth it. I feel like I can keep everyone happy if we have a little trip out, particularly if it’s to see other people or get outside. We’ve had less visitors this time around, but I guess that’s the thing with second-borns, they’re just not as exciting as you’re not a new parent. It’s a bit of a shame, but also has meant that we can settle into a routine a bit easier and faster. So swings and roundabouts I guess. I have to admit, having two kids isn’t so hard, but having a newborn is almost as hard as the first time. I think the largest difference is my confidence, which is so much higher than when I had Henry. I wonder what a third will be like? "How we tackled our fussy eater toddler"
I don't know! It feels like so so long ago!! I adore the way you’ve put your 1 month updates for each of the boys next to each other. They looked so similar at that age; both absolutely gorgeous!